Save Marc to your Collection. Register Now! 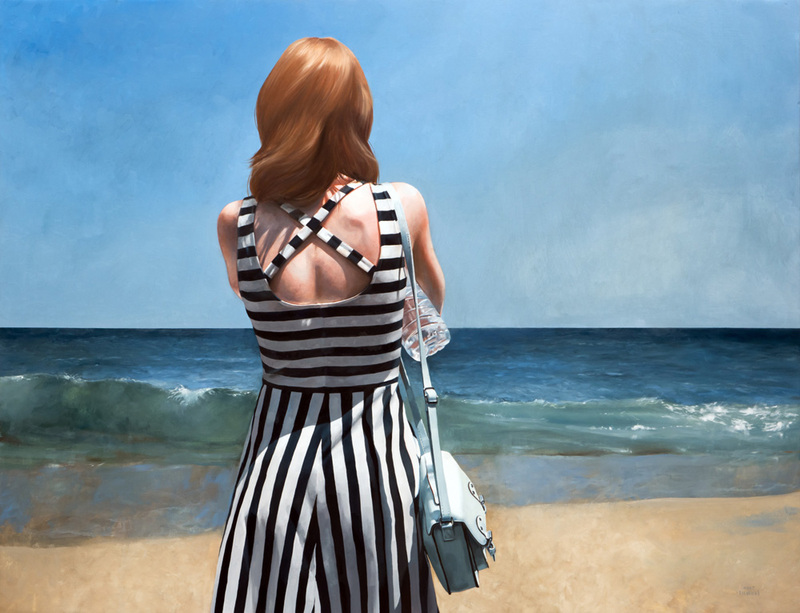 Marc Figueras is an artist based in Barcelona, Spain who studied at the Escola d’Arts i Oficis de Barcelona. 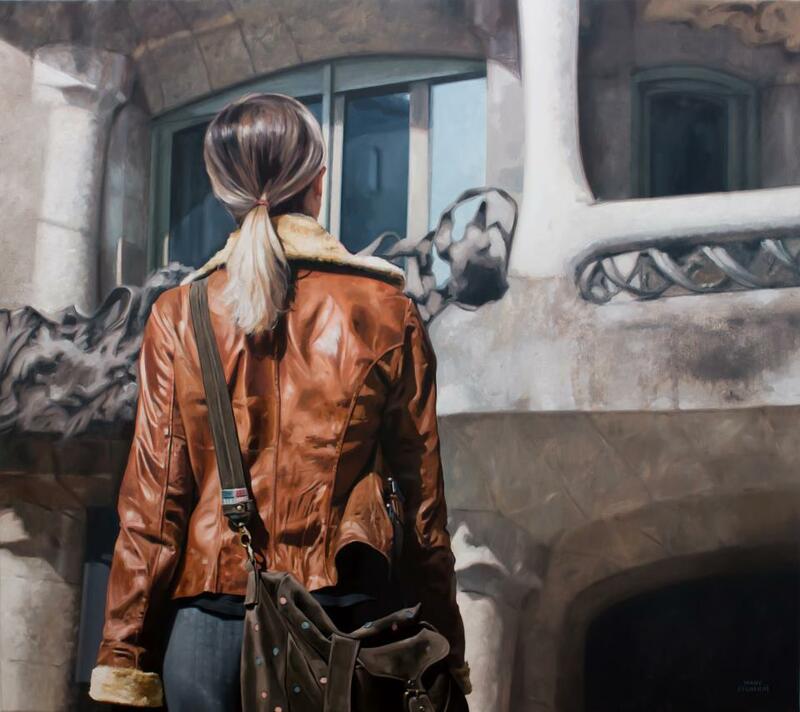 His hyper-realistic paintings, typically depict anonymous persons before some of the most iconic landmarks of Barcelona, showcasing urban life in the streets. The building is weaving in and out like it is breathing....love how precise her ponytail is.